A new study released today says a proposal by the Obama administration to reduce power plant emissions to combat climate change would also have benefits for people’s health. A study from Harvard, Boston and Syracuse University scientists said there would be substantial health benefits if carbon emissions from power plants are reduced by the levels being considered by the U.S. Environmental Protection Agency. 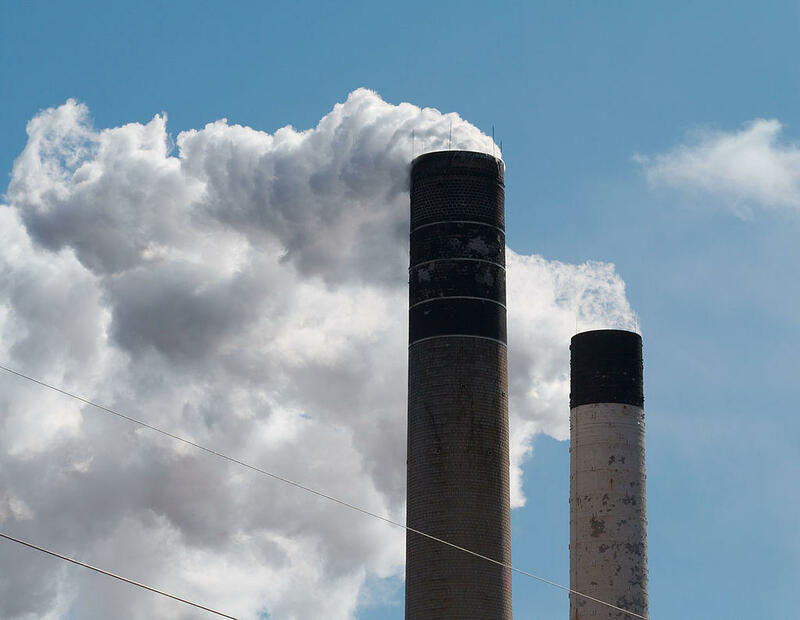 Study co-author Dr. Jonathan Buonocore of the Harvard School of Public Health said an added benefit of the carbon standard would be a reduction of other power plant emissions such as sulfur dioxide, nitrogen oxide and particles.
" With lower power plant emissions of these co-pollutants we get cleaner air and when there is cleaner air you get fewer premature deaths and illnesses from air pollution." The researchers analyzed three options for reaching carbon targets and found the greatest health benefits would occur in the scenario most similar to the EPA’s proposed Clean Power Plan. "This was 3,500 premature deaths each year, 1,000 fewer hospital admissions for heart and lung problems, and 200 non-fatal heart attacks prevented each year." The study said the health benefits would be realized in all the lower 48 states, with the largest number of estimated lives saved each year in the Ohio River valley and Texas. This study on the health benefits of reducing carbon pollution comes less than two weeks after the release of a report by the Environment Massachusetts Research and Policy Center that said U.S. power plants are among the most significant sources of global warming pollution. The study said the 50 “dirtiest” U.S. power plants produced 30 percent of all power-sector carbon dioxide emissions in 2012, but only 15 percent of the nation’s electricity. Ben Hellerstein, field organizer for Environment Massachusetts, said the country as a whole should follow the lead of Massachusetts, which in 2001 put carbon limits on power plants and in recent years has put policies in place that have seen the renewable energy sector boom.
" We've seen solar energy grow by more than 150 times in Massachusetts since 2008. We can continue on that path and get more and more of our energy from the sun." The Massachusetts Department of Environmental Protection reported Tuesday that no air quality health alerts were issued this summer for the first time since the department began tracking smog levels in the 1970s. DEP Commissioner David Cash, in a statement, acknowledged meteorological conditions were a factor, but he also credited the state’s strict emission standards for power plants and vehicles, and the boom in renewable energy. The Mount Tom Power Station in Holyoke – the last coal-fired power plant in western Massachusetts -- is scheduled to shut down later this year. Carlos Rodriquez, a Holyoke activist, said he and others worked for a decade to get Mount Tom closed.
" This is a great victory for Holyoke and statewide." The owners of the Mount Tom plant have yet to say what will be done with the facility. Many other coal-fired plants around the county have converted to natural gas. The EPA is taking public comments on the Clean Power Plan up to December 1st. It’s estimated that up to 400,000 people converged on New York City Sunday for the People’s Climate March, held just before the UN Climate Summit, which begins today. Among those at the rally was Middlebury College scholar and environmental activist Bill McKibben. The founder of 350.org, McKibben was one of the organizers of the People’s Climate March. He spoke with WAMC’s North Country Bureau Chief Pat Bradley. As the world’s leaders prepared to hold a summit on climate change at the United Nations last week, 400,000 protestors marched through the streets of New York City demanding actions – not just words.